Champions League Betting Tips: Player Specials for Tuesday’s Quarter Final Contests With 28/1 Acca! The battle for European club football’s biggest prize resumes this week with four Champions League Quarter Finals fixtures scheduled to be played across what are certain to be two highly charged evenings of continental action on Tuesday and Wednesday. First up on Tuesday are the first leg clashes between Liverpool and FC Porto on Merseyside and the eagerly anticipated all-Premier League tussle between Tottenham Hotspur and Manchester City in North London. 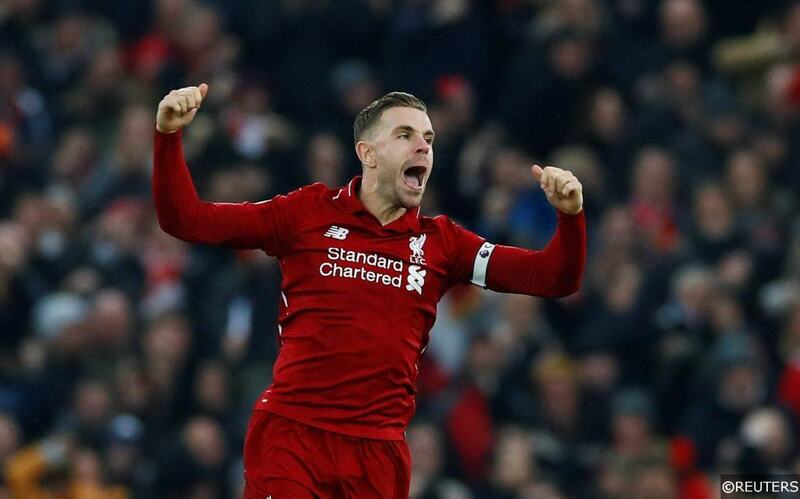 As always, there are tons of potentially lucrative betting markets and exciting special offers available for each fixture, leaving punters with plenty of choice ahead of the Champions League carnage. Read our expert match previews with betting tips and predictions for all of this week’s Champions League action here. Liverpool are overwhelming favourites to swarm all over Porto at Anfield this week in the teams’ Quarter Final first leg encounter. Jurgen Klopp’s men are expected to press and attack from the off against the side they dismantled in last year’s competition, and most of the play on Tuesday will likely be in Porto’s half of the pitch. 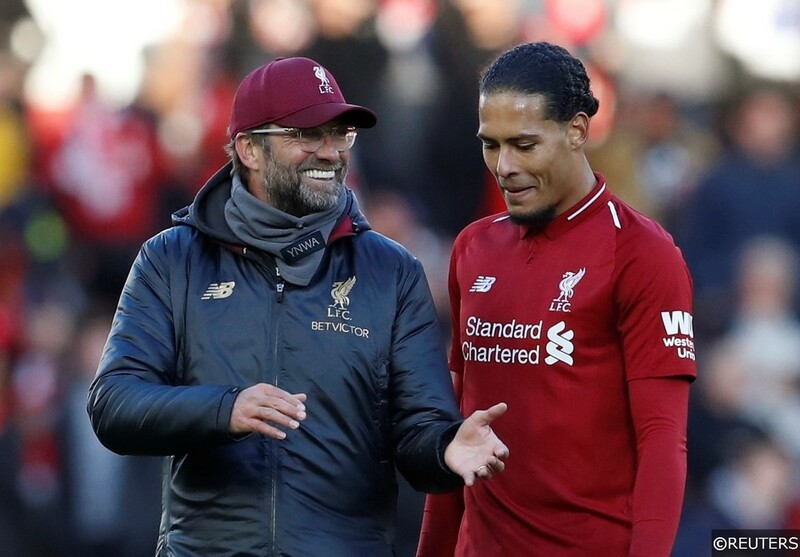 That should leave the imperious Virgil van Dijk largely untested this week. The Dutchman has had an incredible season so far in 2018/19, though it might surprise you to learn that he has averaged just 1 tackle per Premier League game this term, and only 0.3 tackles on average per Champions League appearance. That doesn’t mean van Dijk hasn’t been defending though – far from it. Thought the 27-year old exceptional reading of the game and aerial power means that he can often snuff out danger before a tackle is required. You can back van Dijk to make under 0.5 tackles at a cracking looking 11/8 with bet365. Read our detailed Liverpool vs FC Porto match preview with betting tips and predictions here. Senegalese attacker Sadio Mane was the chief antagonist when Liverpool battered 5 goals past Porto in the clubs’ Last 16 first leg Champions League meeting last season. 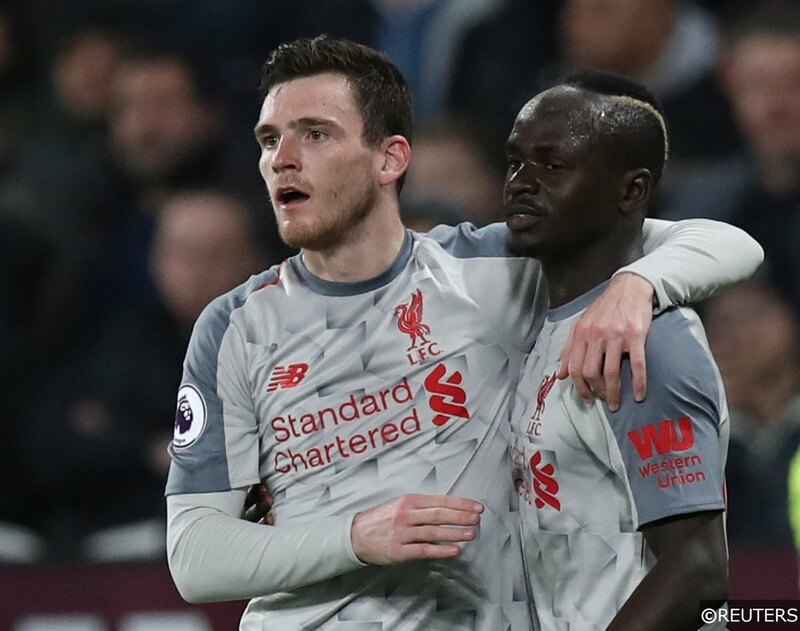 The rapid forward scored a fantastic hattrick at the Estádio do Dragão last February, and the 26-year old seems to relish playing the pressure cooker knockout rounds of Europe’s premier club competition – in fact, Mane has scored 69% of his Champions League goals in the knockout stages of the competition (9/13). With 7 goals in his last 7 appearances for Liverpool, Mane has hit a rich vein of form for the club at a crucial point in the season, and we think he’s priced brilliantly at 5/4 with bet365 to register again anytime this week. Check out our Request a Bet (RAB) Stat Pack For This Week’s Champions League Games here. Manchester City’s midfield enforcer Fernandinho looks set for a busy evening at the Tottenham Hotspur Stadium on Tuesday evening. The Brazilian destroyer provides much of City’s muscle in the centre of the pitch, and against a Spurs side that will be determined to grab a positive first leg result at home, Fernandinho’s combative skill-set will be stretched to the limit. The 33-year old has averaged 2 tackles per Premier League game this season, though that average drops to a slightly lower 1.8 when you analyse his Champions League appearances. It should be noted though, that Fernandinho has made 3 or more tackles in 11 separate domestic and continental fixtures in 2018/19. When the anchorman played for City against Tottenham away in the Premier League earlier this season, Fernandinho made a whopping 5 tackles to help the Citizens steal a 1-0 win. We’re tipping the possession recovery expert to be just as busy on Tuesday, and that makes him terrific value at 1/1 with bet365 to make over 2.5 tackles. 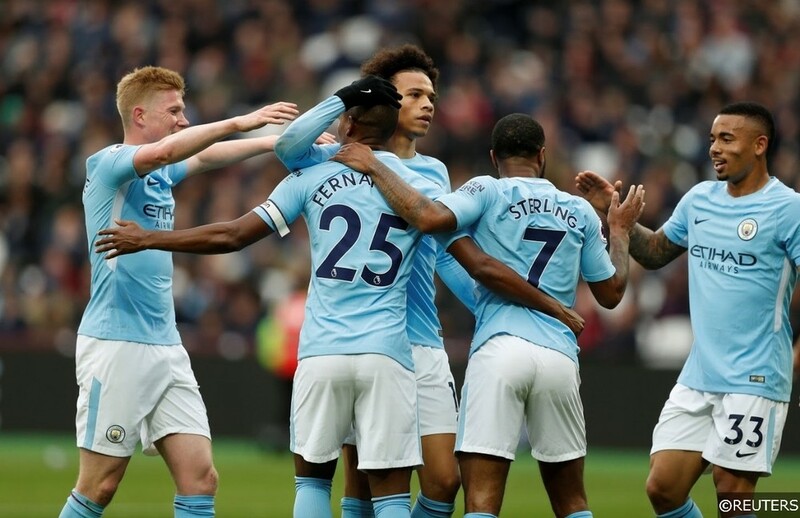 Read our comprehensive Tottenham Hotspur vs Manchester City match preview for more predictions and betting tips here. 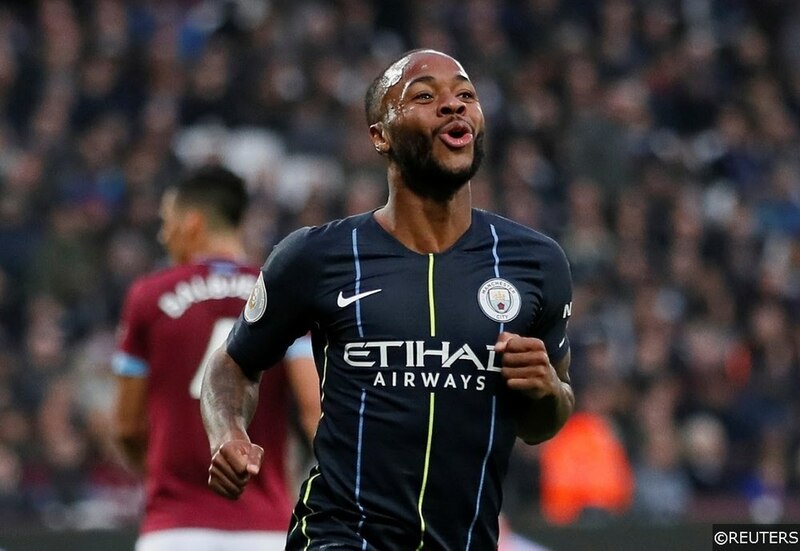 While Spurs’ Harry Kane and City’s Sergio Aguero are the bookmakers’ favourites to register for their respective teams on Tuesday, we think that backing Raheem Sterling to score anytime represents far better value. Remarkably, Harry Kane and Sergio Aguero have both failed to score from open play in matches between Tottenham Hotspur and Manchester City since 2015. In contrast, Raheem Sterling hit the net 3 times in his last 3 appearances against Tottenham, and the England international will be confident that he can make a similar match-defining impact this week. Sterling has been in fine form in this season’s Champions League, contributing 3 goals and 2 assists to his team’s cause in his 8 starts for the Citizens. With his track record in this fixture, we think he looks a great price at 7/4 with bet365 to get his name on the scoresheet again. Read more about Sterling in our feature on 5 key battles that could decide Tottenham Hotspur’s clash with Man City here. A 4-fold accumulator featuring our player special selections above is available at 28/1 odds at bet365! Click the banner below to back it now! Categories: Betting Strategy, Blog, Champions League, and Football. Tags: champions league betting tips, Champions League player specials, champions league tips, player specials, and ucl tips. Team Tag: Liverpool, manchester city, Porto, and tottenham hotspur. League: UEFA Champions League. Sports: Football.